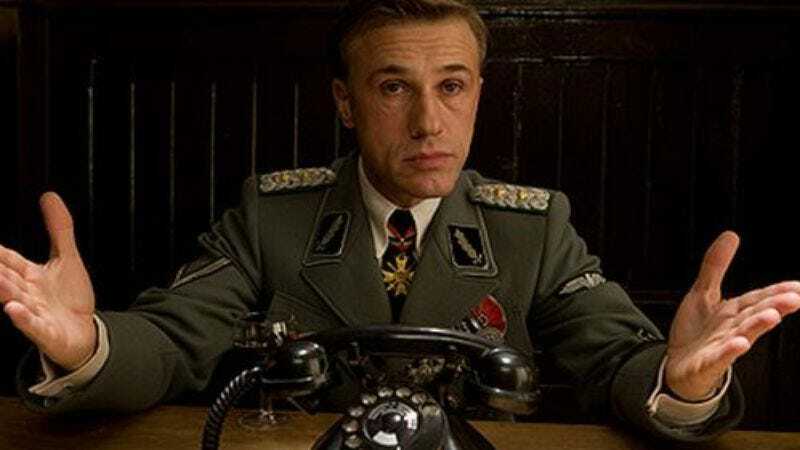 Spectre and Inglourious Basterds star Christoph Waltz is joining Matt Damon and Reese Witherspoon for Downsizing, the latest film from Nebraska and Election director Alexander Payne. The film centers on a society in the near future that attempts to solve its economic problems by shrinking people—presumably because someone heard about the tiny house movement, and then things got completely out of hand. Witherspoon and Damon will play a couple separated when Damon’s husband character goes ahead with the procedure without his reluctant wife. It’s not clear yet what role Waltz will perform, although putting Christoph Waltz and a shrinking machine in the same room and then not having him use it to charmingly extort billions from national governments by pointing it at landmarks seems like a real missed opportunity. Downsizing is expected to start filming later this year, after Damon is finished being Bourne again; Witherspoon, meanwhile, is currently producing a new TV series for ABC, while Waltz will appear in the upcoming The Legend Of Tarzan as a villain, because that is what Christoph Waltz does.